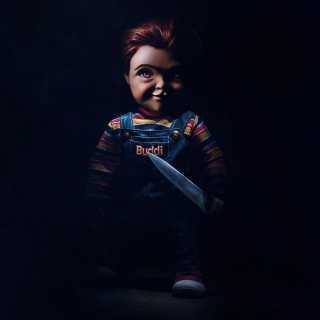 First Full Reveal of Chucky! 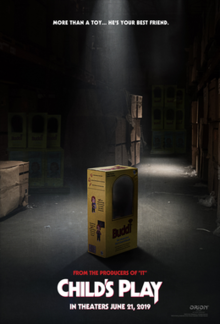 Child’s Play is an upcoming American slasher film written by Tyler Burton Smith and directed by Lars Klevberg. It serves as a remakeand reboot of the 1988 film of the same name, following a plot similar to the original film. It stars Aubrey Plaza, Gabriel Bateman, Brian Tyree Henry, Tim Matheson, and Mark Hamill as the voice of Chucky. The film was officially announced in July 2018, a modern version of Child’s Play that was in development at Metro-Goldwyn-Mayerwithout the involvement of franchise creator Don Mancini or Brad Dourif. Lars Klevberg and writer Tyler Burton Smith signed on as director and screenwriter, respectively, alongside It producers Seth Grahame-Smith and David Katzenberg.